John has extensive experience in senior management and leadership positions in both the private and public sectors. 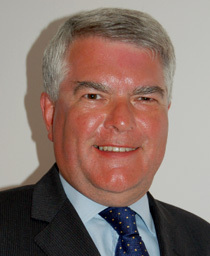 During his 26 year career with the Barclays Group, John held positions as Chief Financial Officer and Finance and Business Risk Director at strategic business unit and divisional levels, leading a number of successful major change and performance improvement initiatives, as well as serving on a number of Group level committees. He was Director for Business Services and Corporate Resources at Essex County Council, one of the largest local authorities in the UK, where he led the delivery of a number of modernisation programmes improving efficiency and reducing service costs. He is currently a non-executive director with an NHS Foundation Trust.